Watching some of the amazing video clips on youtube and not sharing on your favorite social media platform which such as Instagram doesn’t sound fair. The whole point is being on Instagram is to share the media with your followers, which can be in form of images or video. If we talk about the platform where we have kind of ultimate platform to watch interesting videos then YouTube gets all the attention of ours. To Make the process short and let not letting you bother for installing a software on your system, we will do this process of posting youtube videos on Instagram through online method. Tube2Gram is an amazing online tool which has the feature to let you download any Youtube Video so that you can share it on Instagram. Copy the URL of a particular youtube video that you wanted to download for posting on Instagram. Go to this link, which will take you to Tube2Gram. Now Click the big Instagram Video button on the top of the homepage on the site. Now, paste the copied YouTube video URL in the Url Box shown right below the Instagram video button. It will fetch the YouTube video from the URL, Set the video length according to your need by moving the slider given along with youtube video. Once done, click the download button. It will take you to the next page where it will process it and create two download links for you. So, if you are using PC at that moment then hit the first download button, Or if using a mobile device then click the second button which will give you the barcode which you need to scan using your mobile. 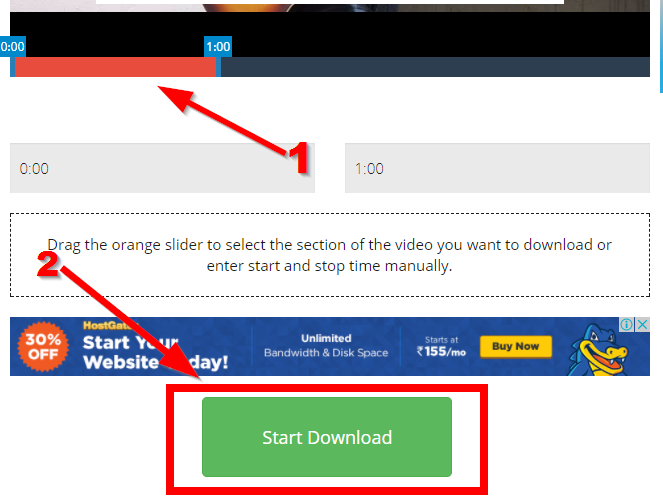 It will open the link which will download that video directly. Once the video is downloaded on your system or your mobile device, then you can upload/share/post the whole downloaded youtube video on your Instagram account. Or you can cut it accordingly. This is the best way, through which you can post youtube videos on Instagram without having any further installation on your computer or mobile device and it saves a lot of time. All you need is a working web browser.